An analysis of the culture that defines Michigan State, which has led to another Final Four trip. Plus, some top plays to look for. When people mention the Michigan State Spartans basketball program, the first person that comes to mind is Head Coach Tom Izzo. His identity is found throughout the program, and the 2018-19 Spartans might align with his identity more than any team in recent memory. Coach Izzo teams are highly competitive and incredibly tough. They have a close bond, and their non-negotiables begin with defense and rebounding! March Madness began with Izzo putting his competitive spirit (all opinions aside) on full display. Current and former Spartans came to the defense of their coach, and demonstrating the bond that has been a staple of the program for years. Furthermore, freshman Aaron Henry, has responded with a level of toughness that has taken his game to another level. He has increased his productivity in every statistical category, while emerging as one of Michigan State’s best perimeter defenders. As for those non-negotiables, the Spartans rank #4 in the country in rebounding margin, and #3 in opponent field goal percentage defense. The recipe for success for Michigan State still begins with defense and rebounding. In preparation for Texas Tech, the top defensive team in the nation, it will be important for Michigan State to find ways to generate easy baskets. 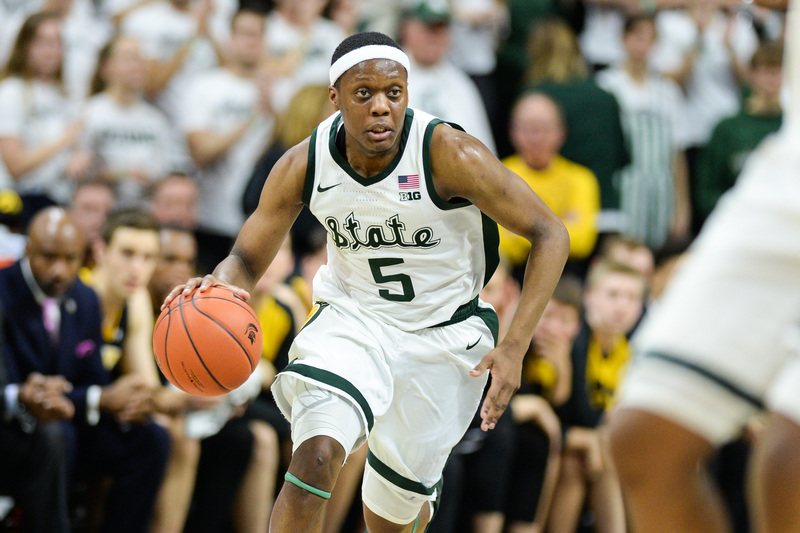 The Spartans like to do that in transition, led by their All-American Point Guard, Cassius Winston. Another way that the Spartans generate easy baskets, once again, ties back to Coach Izzo. Michigan State gave Duke nightmares with ATOs, and well-timed half court sets. To wrap up this Final Four preview of Michigan State, let’s break down three sets to look for from the Spartans. 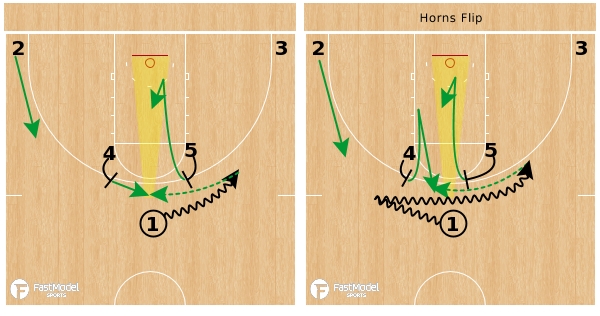 Here are two examples of “Horns,” via @HalfCourtHoops. You can connect with me on my personal Twitter account, @CoachBrotherton , or via @DynamicCoaches. 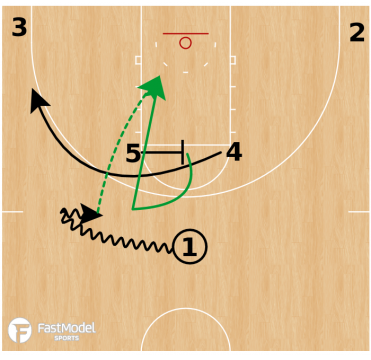 Thank you to @HalfCourtHoops for providing videos to go with our #FastModelMadness diagrams! He also has a complete Michigan State playbook available on his website. Go give him a follow on Twitter to see more video clips from the upcoming Final Four!